Wichita Falls police have been investigating a robbery and assault that occurred in the parking lot of Sam's Club on November 15, 2015. In December, police released a surveillance video (seen above) that shows the suspect attacking a woman, throwing her to the ground and stealing her purse as she walks back to her car. 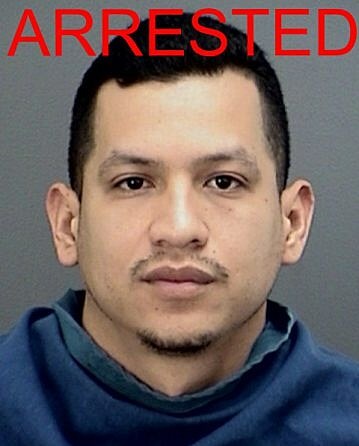 After an in-depth investigation by the Wichita Falls Crimes against Persons Unit, the suspect has been identified as 29-year-old Danny Juarez. Juarez was arrested Wednesday morning and charged with robbery.